Some twenty one years ago, then Colonel David Petraeus co-authored an article entitled "Walk and Shoot Training" (Infantry Magazine, Jan-Feb 1997, page 36). In this article, an emphasis was made in the recklessness of the "headlong rush to close with and destroy the enemy" without a plan for indirect fires to support movement and developing the situation. 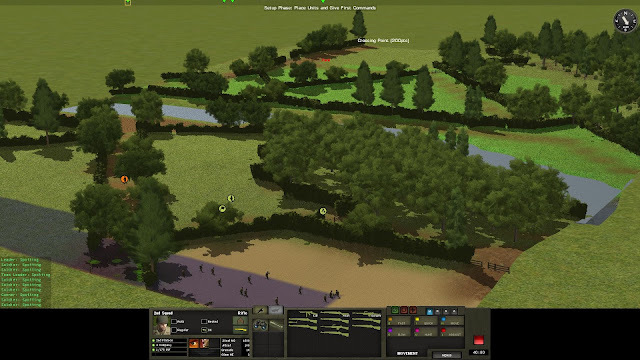 In John Sowden's all-time classic scenario "Platoon Patrol" (one of the smallest scenarios that were released in the first edition of Combat Mission Battle for Normandy), a US infantry platoon is tasked with securing a ford in Normandy. 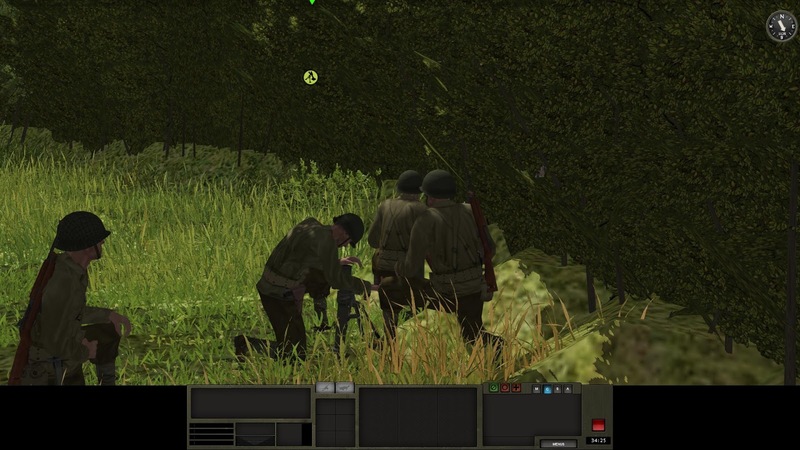 The platoon leader has a 60 mm mortar as the only indirect fire asset. It is not by chance that I revisited this scenario. 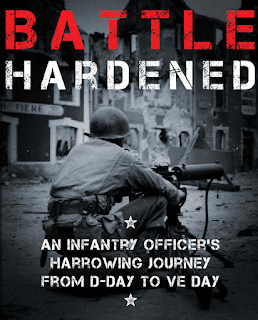 I'm reading Battle Hardened, by Craig Chapman. 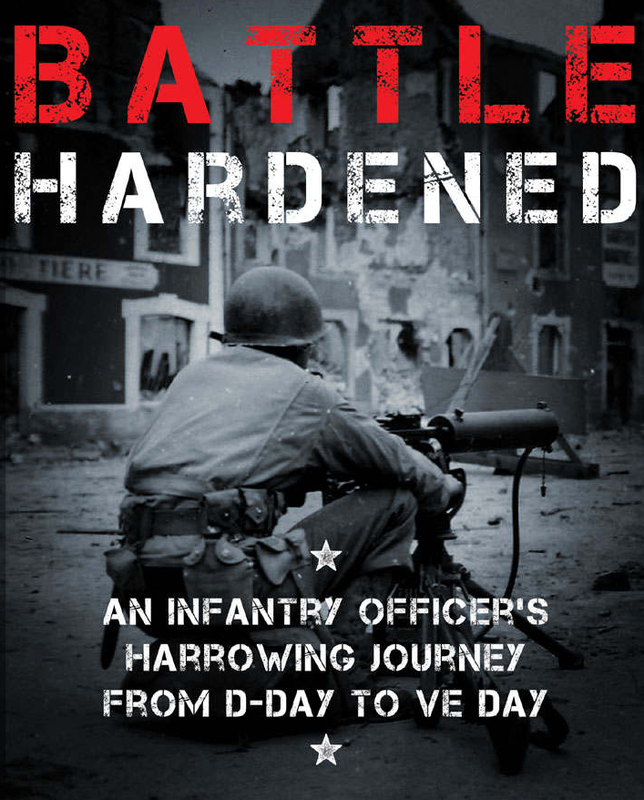 In this book, Mr. Chapman writes about his father's experience in the WWII ETO. This book is one of the best books regarding low and mid level US WWII tactics, with a particular emphasis in the use of weapons companies. The Combat Mission scenario came immediately to my mind. In particular, the few rounds available for the 60 mm mortar were something to keep close to the chest. Moving and shooting would require a lot of restraint. And yes, planning. 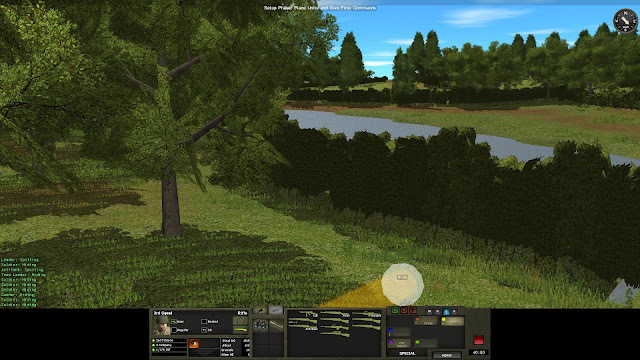 Nothing left to chance: even the detail of micromanaging my troops when they get to the hedgerows. The "hide" command is to avoid them being spotted and insta-suppressed. I'm sure you already know that from the American side, the battlefield hazards in this scenario have great rates of fire. I soon found myself detaching at least one B.A.R. to cope with the other side of the creek. The closeness of the mortar team to the infantry squads made a difference. Plenty of suppression against the ENY MG teams, greatly facilitated the crossing of the ford. Not that the B.A.R.s here and there didn't play a substantial role. Note the red targeting line coming out of one of those teams and the rush across the ford by a US squad. 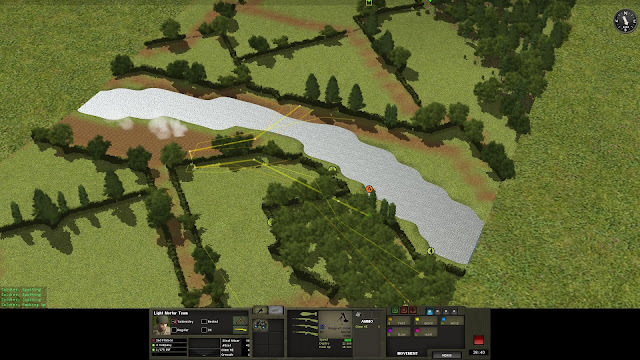 A casualty-less ford crossing by the first few elements of the team marked a new phase of the battle.All squads and even the mortar are called across the ford. The far side of the creek proved more costly in blood and ammunition. The hedgerow corralling the water course was a place of suppression, injury and sinking more for every US dweller. Including the mortar team. 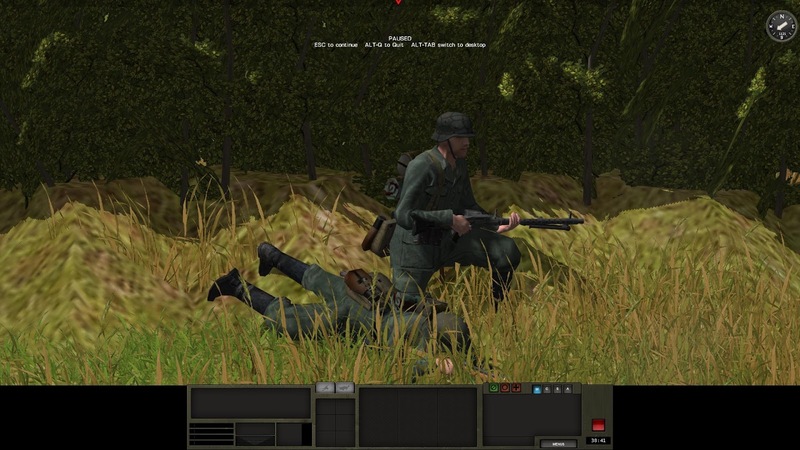 The Lieutenant in charge probed the enemy's right flank and found an exploitable gap. 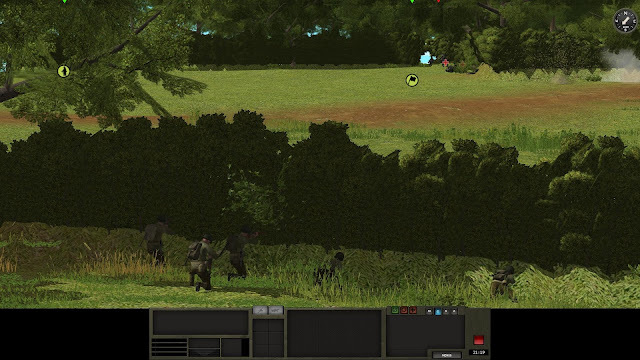 In no time, the command team had the flank of a German fireteam so close they could have spitted at them. The Lieutenant was powerless: outnumbered and unable to call support from his mortar. Off course, as the fortunes of war will always teach you, the asset you need will be unavailable. The US mortar team was not only out of touch but also suppressed to oblivion. Eventually, a reserve squad made it to the right place and reaped a handsome reward of victory. It's impossible to fight the perfect battle, but some mistakes are avoidable. My original bravado of having the mortar team upfront payed out nicely. 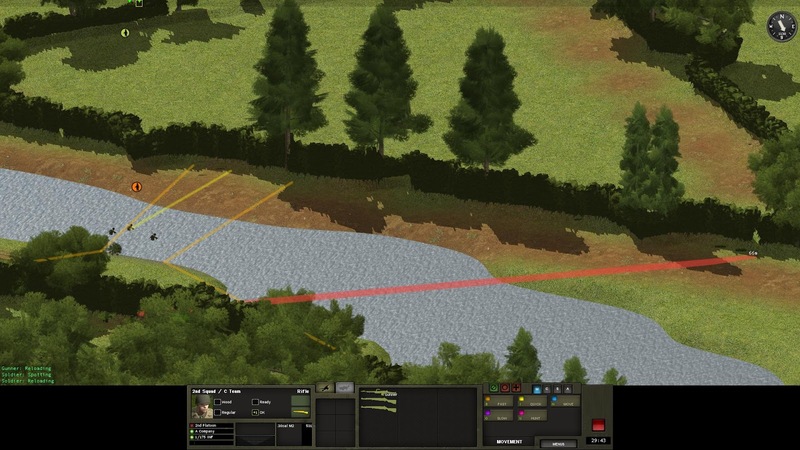 But on the far side of the creek, I underestimated the enemy's capability to undercut my indirect fire support. Very nice write up Julio. Interestingly avoiding this "headlong rush" and "thinking through"a battle is the main point of my blog. You are right too of course.. sometimes, it doesn't matter how well you plan or analyze, sometimes things just don't work out. As long as we learn from that, even those setbacks can teach us something. I enjoyed this a lot, thanks for posting it. 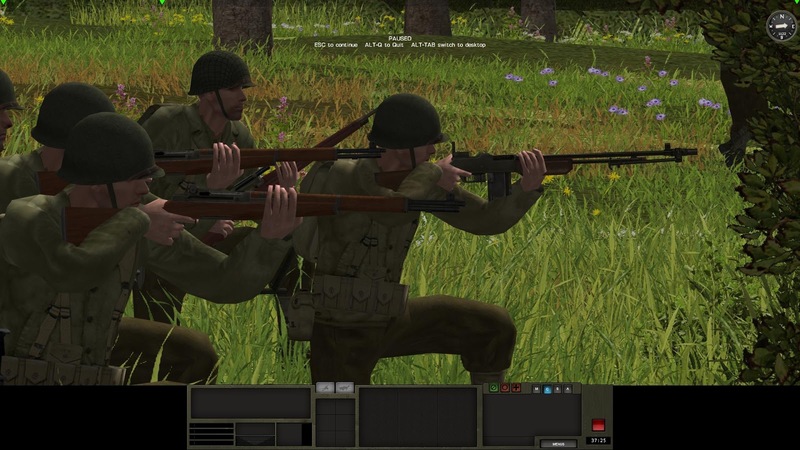 I'm going to have to download and read that issue of Infantry magazine now. I especially enjoy the older issues of Infantry and Armor magazines. Bil! It's great to have you around here. Aren't those back issues great? 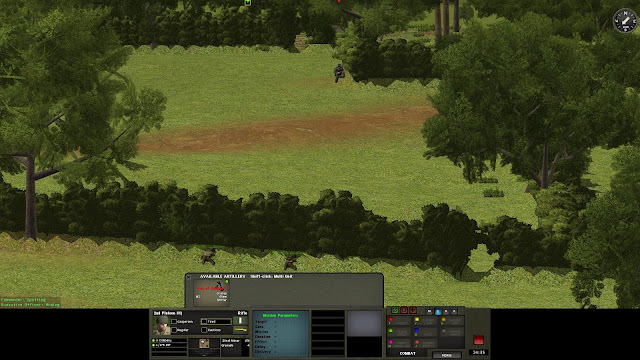 Great, IIRC when I did this scenario I did a lot of supressing to pass one flank and then the other. The mortar was a very limited but useful way to supress. Nice to see again CMBN here. Hello, Marco. Thanks for reading. More CM coming soon!